Caleb Andrew Lufkin was born on 9 December 1981 in Galesburg, IL, the son of Tammy E. and Marcy D. (Shenaut) Lufkin. He graduated from Knoxville High School in 2000. 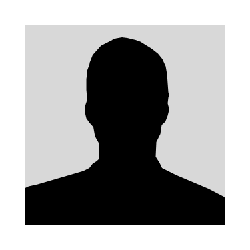 Caleb was an avid banjo player and enjoyed fishing, hunting, and motorcycles. He was a volunteer firefighter and wanted to one day become a professional firefighter. 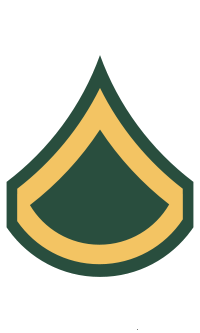 Caleb enlisted in the U.S. Army and served in Company B , 5th Engineer Battalion from Fort Leonard Wood, MO, where he graduated from Basic and AIT, receiving his Trail Blazer and Sharp Shooter Awards. Lufkin's service in the Army then took him far from Knoxville, IL; he was transferred to Bagdad, Iraq. On 4 May 2006, Caleb was injured in Iraq by an IED roadside bomb and was returned to the U.S. for treatment at Walter Reed Army Medical Center in Washington, DC. 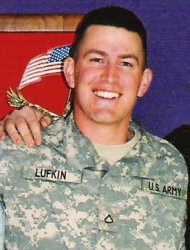 Private First Class Lufkin died from complications during surgery on 25 May 2006. 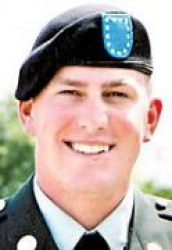 Private First Class Caleb Andrew Lufkin died on 25 May 2006 of wounds sustained in Iraq on 4 May 2006. He is buried at Knoxville Cemetery in Knoxville, Knox County, IL. Surviving are his mother and stepfather, Marcy and Dennis Gorsline, Knoxville, IL; his father and stepmother, Tammy and Karen Lufkin, Galesburg; his Maternal grandmother, Pat Houston, Galesburg, his Paternal grandfather, Ted Lufkin, East Galesburg; and two brothers, Lance and Taylor Lufkin of Knoxville, IL. He was preceded in death by his Paternal grandmother, Carol Lufkin and Maternal grandfather, Jerry Shenaut.